Launched as the first denim-dedicated trade show in 2003, BLUEZONE features some 100 of the world's leading denim weavers, finishers and washers with their latest developments of denim, street- and sportswear. BLUEZONE is the show-in-show concept of MUNICH FABRIC START, the first of the leading international fabric trade fairs in Europe. 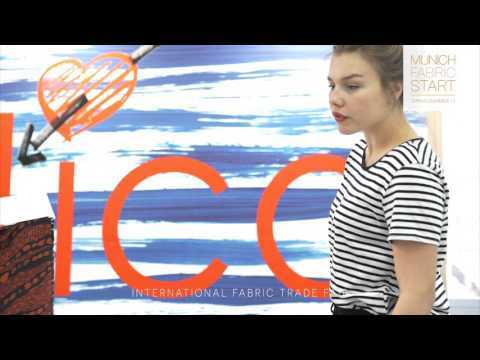 In total, more than 1000 suppliers from all over the world showcase their latest developments and innovations of fabrics, finishings and denim collections in Munich twice a year. Rounded off with new technologies, textile service providers, a wide event programme and elaborated trend forums, the select portfolio is browsed by some 20,000 international designers, buyers and decision-makers using this comprehensive inspiration pool and optimal business platform at this point in time.